Designed to allow operation and reversing of the rotating direction of three phase motors. 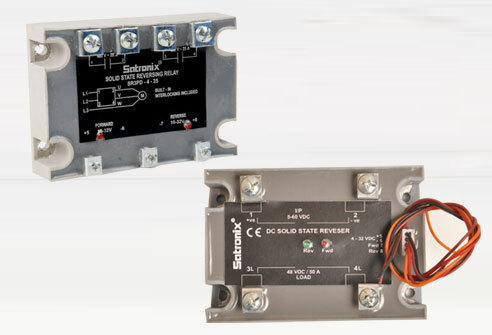 Offers a modern alternative to conventional electromechanical three phase reverser. Provides isolation through very high immunity Opto-couplers. Models for 2KW, 3KW, 5.5KW, 7.5KW motor under 480 VAC or 600 VAC to be driven at high switching frequencies while taking account of starting currents.